BULAWAYO Metropolitan Affairs minister Angeline Masuku has challenged the Zanu-PF government to urgently recapitalise the city's closed industries and those operating at low capacity to boost the economy and create employment opportunities for the citizens. Masuku made the remarks on Saturday at an outreach meeting of the Zimbabwe National Liberation War Veterans' Association (ZNLWVA) at Stanley Square in Bulawayo. $1 million and in the past, we heard someone buying a $1 million worth ring. What would have been wrong if someone had given that $1m to a firm to resuscitate its operations?" 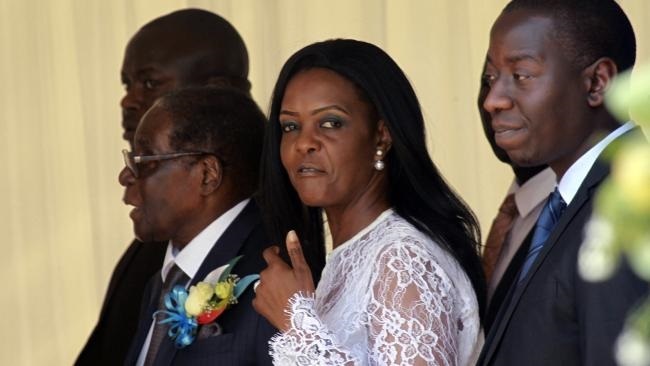 Masuku asked rhetorically in a subtle attack on former First Lady Grace Mugabe, who allegedly splurged $1,3 million on a ring from an Asian businessman. Several Bulawayo companies either closed shop or relocated during the hyperinflation period and some factory shells have been turned into churches. The development has seen Bulawayo youth skipping the border into neighbouring South Africa and Botswana seeking greener pastures. Masuku also challenged war veterans association's secretary-general Victor Matemadanda to push for the improvement of the welfare of former fighters. Speaking at the same function, Bulawayo United Residents' Association chairperson Winos Dube bemoaned city council's drastic measures of cutting water supplies to unpaid residents. "The problem we have here is that some residents have no water at homes. They were disconnected," he said, before asking residents with disconnected water supplies to raise their hands. Dube urged the city fathers to negotiate payment plans with unpaid residents.